Combine the look of a choker and a long elegant beaded strand into a single necklace that you can wear for work or play. 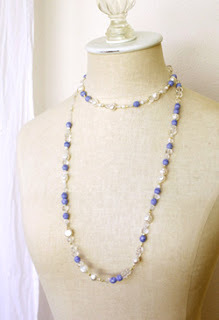 My example features beaded strands made from large white freshwater pearls, sky blue coral 8mm Czech glass fire polished beads, 6mm crystal Czech fire polished beads and 6x9mm crystal Czech fire polished donuts, accented with Toho seed beads. The contrast between the short and long strands create a dramatic aesthetic that can be worn with a collared shirt and blazer or a fabulous scoop neck dress. The random pattern of the beads keeps it playful and romantic. To create this necklace, string two strands of beads onto two different lengths of flexible beading wire such as Soft Flex or Flex Rite. With a crimp tool, crimp each strand to jump rings and a clasp. For an ultra feminine touch, in lieu of a clasp, I finished this piece with a silky cream ribbon that ties around the neck. Click here for ideas on using ribbon in your jewelry designs. Nursing bracelets are a wonderful gift for the mother of a newborn. Not only are they stylish, they are also functional. These bracelets are a helpful tool for a nursing mother to remember the time of the next feeding. Each bracelet contains the numbers of a clock. The three beads following the number each represent a quarter of an hour. A movable charm attached to a lobster claw clasp is clipped in place to designate the time of the next feeding. The beads of this bracelet are strung onto memory wire so it is easy to put on and take off. This way, nursing mothers can also switch wrists according to which side she is to nurse from at the next feeding. To create this bracelet, you will need: memory wire, number beads, spacer beads (example above features Czech Glass fire polished beads and sterling silver stardust beads), a lobster claw clasp and a charm. However, in my example, I attached a Swarovski crystal butterfly bead onto the lobster claw claps using a head pin. The number beads you will need are a set of 15: five "1" beads, two "2" beads and one each of number 0 and 3-9. We offer the number beads in a pre-counted set so you don't have to worry about ordering each number individually. Number beads are available in white plastic, rhodium plated pewter and gold plated pewter. 2) After you determine the approximate length of your bracelet, cut the appropriate length of memory wire, add extra length for margin of error. 3) String the beads in sequence from bottom of the coil and push the beads to the top. Otherwise, if you start from the top and push the beads down to the bottom, the bracelet will be backwards. Making your own "head pins" is a great way to use scraps of wire. When making your own head pins, you will actually be making an eye pin by creating a loop at the end of the wire which will serve as the "head". This technique creates a different look than ready made head pins and can be intentionally used as a design element. 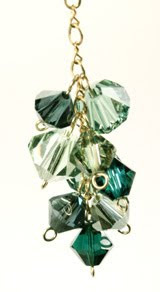 I created earrings by dangling beads onto handmade pins that accent each bead with small delicate loops. You can create the loops as large or small as your like, as long as they will hold the beads. You can also get creative by making swirls and other designs for added detail. 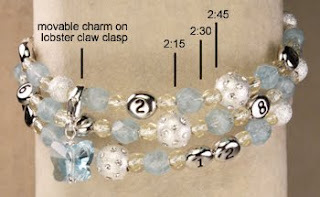 You can use this technique to add beads to chains, and create bracelet and necklaces. *Use ribbon to serve as a closure for chained necklaces or bracelets. 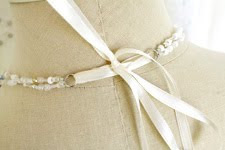 The ribbon tie closure is especially convenient because it makes the jewelry adjustable in length. This technique is easy, simply string the ribbon through each end of the chain and tie around your wrist or neck. *Strands of beads can be crimped and attached to ribbon, suede or leather. *Color coordinated ribbon bows can add an adorable touch to a simple piece of jewelry. *Knot beads and charms onto ribbon for a soft, feminine look. (Click here for more details on creating this look). I love using ribbon in my jewelry designs, the look is ultra feminine, romantic and simply beautiful! There will be more ribbon jewelry designs to come. "Alphabet Beads for Grown Ups"
If you are required to wear an ID bagde daily, use this as an opportunity to enhance your work attire by creating stylish lanyards that express your unique personality. For a simple design that is easy to make, use seed beads accented with a few larger beads in a pleasing pattern. 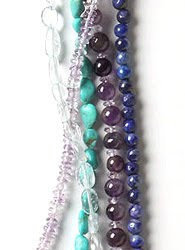 Using more smaller beads (seed beads) keeps the lanyard from getting too heavy and also avoids clashing and competing with the other jewelry & accessories you may wear. 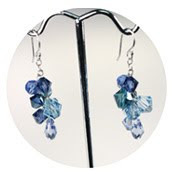 In my examples, I used Toho seed beads, and Czech glass beads. For stringing material, use 49 strand, .024" flexible beading wire for added strength. You will also need sterling silver crimp beads, split rings and lanyard hooks or key rings. Create a lanyard with a neutral color palette that can match most of your wardrobe, or have fun creating several lanyards in your favorite colors to match different outfits. You can also create lanyards with school colors, the colors of your favorite sports team, or company colors. The possibilities and color combinations are endless. Add charms to your lanyard for further personalization or use our popular alphabet beads to spell your name or other personalized message. Beaded lanyards will transform your I.D. badge into a beautiful piece of jewelry that compliments your professional wardrobe. Whether you work at a school, hospital, or corporate office, a beaded lanyard is the perfect work accessory. 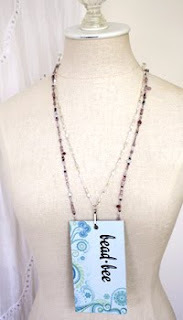 A great way to use left over beads from previous projects is to incorporate a mixed media strategy which involved a simple strategy of combining different types of materials to create jewelry. You can achieve beautiful results buy combining glass, pearls, metal and gemstones and create jewelry that is unique, versatile and can compliment many different outfits. 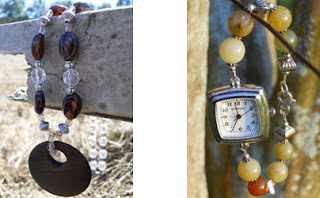 If you have a collection of "orphaned" beads or leftovers waiting to be incorporated into the right project, this is a great way to gather them all together. 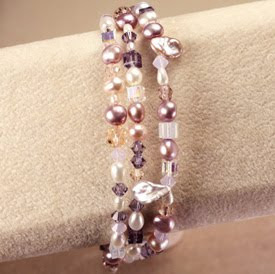 Our example features Swarovski crystals, freshwater pearls in different shades of purple, violet, peach and crystal. Different sizes and shapes were used as well. There are no rules when creating mixed media jewelry. Simply experiment and play around with different combinations of shapes, sizes and colors until you discover something that you like. The key is to just try it out even if you don't think it will look good together, this will allow you to discover unexpected, yet pleasing combos. Then string it all onto a necklace or bracelet in a random pattern. I frequently receive emails from people who share their projects with me. I always love to see what they do with beads that they purchase from Bead Bee. My friend Carolyn recently sent me photos of her latest work. I met her last year when she took a beginner's beading class at my store - she is very sweet and talented. I wanted to share her photos with you because her jewelry is very beautiful, but the photography is just as striking because she has uses nature as inspiration in composing her images. 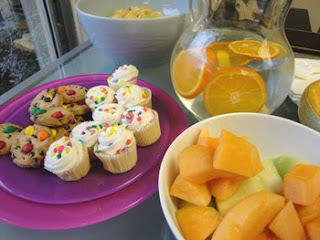 We are celebrating here at Bead Bee with a little Valentine's Day party with cupcakes & cookies and a little beading fun! 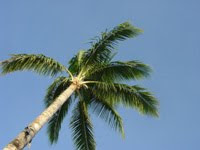 Enjoy your day and the special people in your lives. Layering multiple necklaces is one way to enhance your attire and add dimension to any outfit. By putting together different strands of beads, you can create a dramatic look that enhances any ensemble that will be appropriate for any occasion. Have fun and layer together strands in unexpected color combinations or incorporate colors from printed fabrics in your wardrobe. To create the perfect spring-inspired necklace, pair shades of lavender, pastel greens, light blues, champagne pinks, and silver. A more dramatic look can be fashioned by putting together strands of gold, bronze, oranges and browns. Another impactful layering strategy is to layer multiple shades of one color. To keep your layers from getting too heavy or overwhelming, stick with bead sizes of 4 to 8mm when stringing your own necklaces.